iPhoneFreakz _ All The Latest And Greatest iPhone News » Gadgets Reviewed! Ever wanted to be able to start music no matter where you are at home? Imagine this: you come home and you’re walking to the door to enter your house. While you’re walking you take your iPhone and press the play button of the iPod controls. When you enter your house, you suddenly hear the music you just started. But the sound doesn’t come through the iPhone speakers, it comes from your stereo. 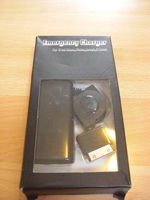 This Emergency Power Charger of only 29g, has a dimension of 75 x 32 x 17 mm and can be used for the iPod Nano, Video, iPod Touch and ofcourse the iPhone. 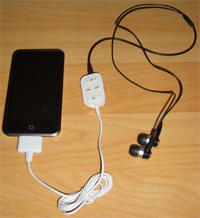 It is a very simple concept, you can charge you iPod or iPhone using 2 AA batteries when you don’t have access to a power socket. Because it only uses 2 AA batteries it is made as a emergency charger, otherwise you need a lot of batteries to keep charging your iPhone. This white Line Remote Control of only 20g, has a dimension of 37 x 29 x 17 mm and is compatible with all the iPhone and iPod models except the iPod shuffle. Do you hate it that you have to take your iPhone or iPod out of your pocket every time you would like to change the song? Well that problem is solved with this Line Remote Control. 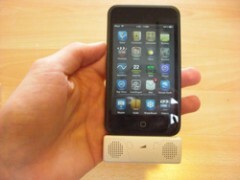 This little speaker of only 54g, has a dimension of 60 x 20 x 10 mm and is compatible with the iPhone and iPod. It’s very handy for people with the 1st gen ipod touch or an older ipod version. This speaker doesn’t need any battery because it just uses the battery of your ipod. 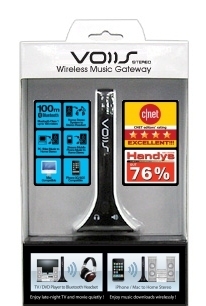 We have tested this speaker on the 1st Gen iPod Touch and the iPod Nano 4 and with the amount of volume this little speaker produces it is really a must have gadget for all the ipod users. 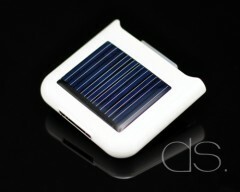 This is a 100% Solar Energy Emergency Recharger, it charges your mobile devices anytime and anywhere! With solar energy absorbing panel, it protects the environment with clean and effective solar energy power. 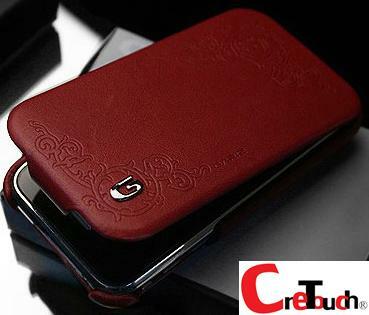 You can buy this gadget on dsstyles.com. What if you leave your iPhone on the seat of your car. You come back 15 minutes later, and find your car filled with smoke. 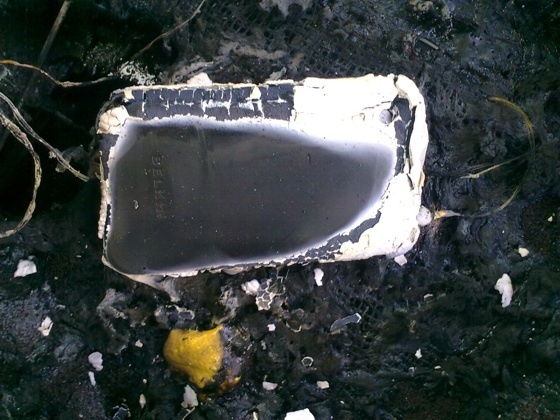 You open the door and see your iPhone, totally destroyed by fire. Cause? The iPhone itself! It all happened to Pieter C., a guy from the Netherlands living in the Dutch city Leiden. He wants Apple or T-Mobile (the exclusive carrier for the iPhone in The Netherlands) to take responsibility, replace his iPhone and freeze his contract until he gets the new iPhone. But both refuse to take responsibility for the incident.